Meet a very big bear who won’t go to bed! It’s time for Big Bear to hibernate, so Old Man Winter keeps telling him to sleep. But Big Bear doesn’t hear very well. He thinks he’s being told to leap, drive a jeep and climb a mountain steep! Will Big Bear ever understand Old Man Winter’s call? Finally, Old Man Winter finds a noisy way to get Big Bear’s attention – and at last this very tired bear flops gratefully into his den! 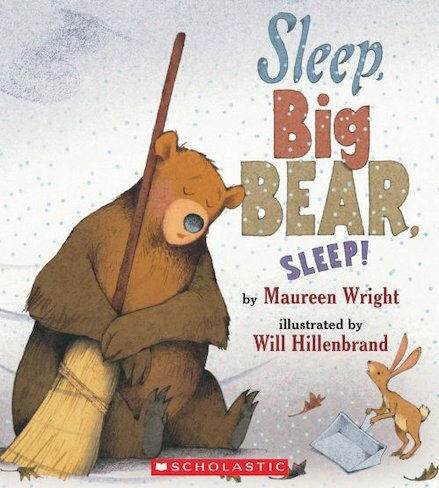 Rhyming text and soft, cosy illustrations make this comical bedtime story a perfect choice for winter.